Amazing opportunity! Over 7000 Sq Ft of building. 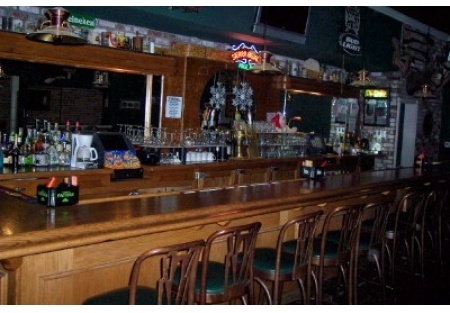 In the building there is a full service restaurant with all the equipment, a beautiful bar, stocked, (with a separate entrance) and a quick service restaurant that is leased back from the buyer at $1000 month Gross Rent. Also included is a Type 47 Hard Liquor License and all the Furniture, Fixtures & Equipment necessary to immediately open. There is ample seating in the dining rooms for approx 92 people and a banquet room seating approx 40 + more. Located right in the middle of as quaint downtown area in beautiful Northern California just about an hour from Sacramento. The kitchen is fully equipped with a new build out in 2002, including the Type I Hood System. There is a large 8� X 12� Walk-in Cooler, char broiler, convection oven, steam table ect�..Too much to truly list. The bar which has a separate entrance seats a total of 46 people with plenty of room to mingle. The long bar has two Bar Wells and two P.O.S. stations. The restaurant just closed down for personal reasons. The bar and other business are still operating.